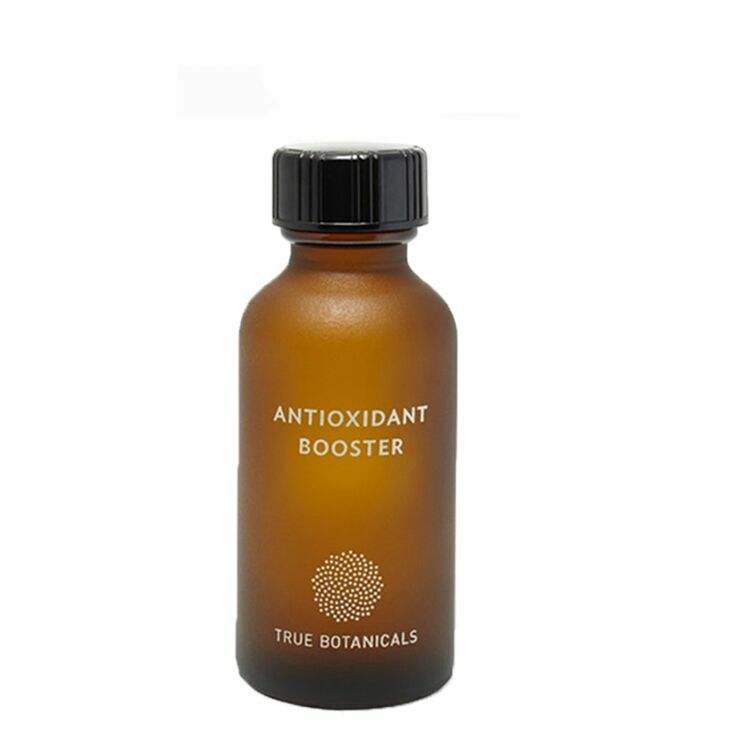 Adding True Botanicals Antioxidant Booster to your skincare is like turbo boosting your beauty routine. A fine powder that is ready to mix into your favorite facial serum, mist, or water, this booster contains apple to make skin look super smooth, even, and bright. Grape bestows a radiantly youthful appearance. This beauty is suitable for all skin types, from sensitive to mature. Use to diminish signs of aging, diminish feelings of irritation, and tone down the appearance of breakouts. It will soon become a beauty must-have. Add 1-2 shakes of booster to your favorite facial serum, mist, or water and smooth onto face and neck for improved appearance of skin. Use both day and night for best results. Malus Domestica (Apple Peel) Fruit Extract * **, Tapioca Starch, Resveratrol (Grape Skin), Quercetin (From Apple Skin) *Organic **3.2% Polyphenol Potency (The Highest Available Extracted With A Patented Process).